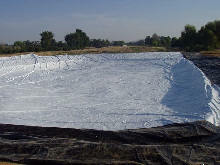 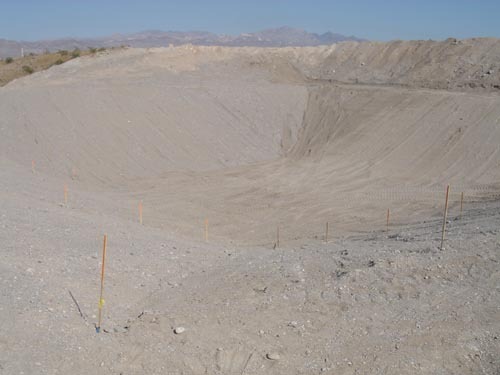 Applications for these liners range from temporary ponds, golf course ponds, waste ponds, canals. 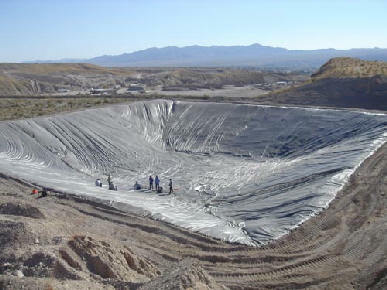 Exeter, CA. 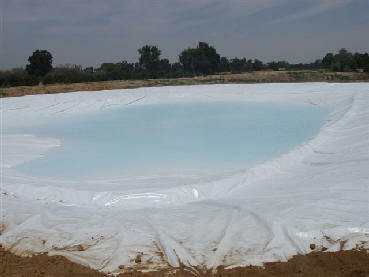 12 polyethylene was used to line this pond.